Melbourne Cash Loans Are Simple and Easy. Up To $5,000! Apply Now! Want an escape? Why not apply for cash loans Melbourne for an urban getaway? Cash loans Melbourne – the best way to break the monotony of day-to-day life. Do you need a break away from the routine? Need a trip to escape the pressures of everyday life? Why not take a weekend away where you can explore Australia’s most cosmopolitan city? It’s a great place to indulge yourself and really have a great time.Though maybe you need some extra funds to pay for the trip away. If you need some quick cash we’re here to help. So, let’s talk about how we can help you to find out everything thing you know when it comes applying with Nifty Loans. Plus, we’ll give you a list of must do activities that Melbourne offers. Have you been thinking about taking a mini holiday recently but you’re not too sure where to go? Are you feeling the need to escape life’s hustle and bustle and do a little exploring? Kick your feet back at a trendy hotel and try some of Australia’s world-class restaurants? Here at Nifty Loans, we reckon Melbourne is a pretty neat destination to visit. One of Australia’s most cosmopolitan cities, Melbourne has a thriving arts and culture scene. We also hear it on good authority that the food is pretty amazing as well. Not only is Nifty Loans going to show you how to achieve that cheeky weekend away with speedy loans, but we’re also going to give you our top destinations to visit! So sit back and start planning how you’re going to overindulge yourself and not feel remotely guilty about it. What are cash loans Melbourne? Cash loans Melbourne are quick finance that you can apply for online here at Nifty Loans. We specialise in quick, 100% online personal loans with super fast outcomes. Our applications are hassle-free and paper-free. If you’re approved, we deposit your funds shortly after you have signed your contract (if signed within business hours). Easy right?! To get a fast cash loans Melbourne you simply need to pop an application in online. Simply scroll to the top of this page and hit the Apply Now button to begin our easy-peasy application process. Just let us know how much you want to borrow and for how long. We’ll then grab a few more details from you and request some supporting documentation. Once we have everything we need, your application will be assessed by one of our superstar assessment team members, usually within 60-minutes during normal business hours. If it takes longer than 60-minutes to get your outcome we may just need some more supporting documentation from you. That’s it! If you fit the above criteria and you’re interested in applying for a fast loan, scroll to the top of this page and hit our Apply Now button! We’ll take care of you from there. What can cash loans Melbourne be used for? Our fast finance can be used for a bunch of different things. They can be utilised for those wanting to give the trendy city a visit and see the sights. This can cover travel expenses, airfares, hotels and accommodation, sightseeing, eating out and going to the latest gig. The world (or Melbourne in this case) is your oyster. But perhaps you’re already a local Melbournian? No worries! You can use our cash loans Melbourne to cover car repairs, car registration, buying a second-hand car, covering home repairs and renovations or even the purchase of a new household appliance that has been on the spritz recently? Don’t be afraid to get creative, we know Melbourne locals aren’t! If you need a speedy money loan to help cover travel costs or a necessary life cost that has caught you unprepared, Nifty Loans has you covered. How do I repay my cash loan Melbourne? Repaying your personal loan is super easy! We do everything for you so that you don’t have to worry about setting reminders or transferring payments. If you’re approved, we generally set your repayments in line with your pay day and your repayments are direct debited from your account automatically. Once your loan has been repaid in full, your repayments will automatically stop. Easy isn’t it?! What if I can’t make a repayment? We understand that sometimes life happens and certain things can impact your ability to make the occasional repayment. If for some reason this happens and you find yourself short on funds, the best thing to do is to give us a call. We’ll do our best to work with you and help you out during the difficult time. The more time we have to adjust your repayments, the more we’re able to do for you. It’s that simple. Keeping in contact with us and giving us at least 1 business days notice before your repayment is due allows us to organise alternative options for your repayments. We’re here to help you out any way we can! You absolutely can! At Nifty Loans, we pride ourselves on not only making things as easy as possible for you but being super affordable as well! And one of our great perks is no early payout fees! So, if you decide to make extra repayments towards your loan, or want to pay it off early, you’re more than welcome to do so. Many other lenders will charge you early exit fees, but that’s not our style here at Nifty Loans. So if you’re interested in applying, you can rest assured that our loans work for you. Have more questions about Cash Loans Melbourne? Then the Australian Government website Moneysmart may have answers. What if my loan application is not approved? If you do apply for a loan and your application is not approved, don’t worry, it may just mean that this isn’t the best time for you to get a loan. As responsible lenders, we have a duty to lend responsibly. This means that we must first assess your financial situation using our comprehensive set of lending criteria. We do this by viewing your most recent bank statements and conducting a credit check on all applicants before we can approve anyone for a loan. If, after our thorough analysis, we deem that you will not be able to comfortably afford to make your repayments, your application will not be approved. Don’t take this personally as our goal here is to help improve your current financial situation, not make it worse. And remember, that this doesn’t mean you will never be approved for a loan with us, it just means that now may not be the best time for you. You’re always welcome to apply in the future if you find you need quick cash and we’ll take another look at your updated financial information. Or, if none of the alternatives suits you or is available to you, it may not be the right time to borrow. Waiting a little longer to save up some more to afford the expense not only means that you won’t have to pay any loan fees but you get that added feeling of success at reaching your savings goal. Melbourne, the capital city of Victoria, is the state’s hub for business, administration, cultural and recreational activities. It is Australia’s second largest city with more than 100 languages spoken amongst the residents from all kinds of backgrounds. There is so much do and see in Melbourne, it’s basically a playground for adults and children alike. Here’s a quick list we’ve put together of some must-do activities in Melbourne. Laneways in Melbourne – explore all the hidden laneways of Melbourne’s streets. These are the cute little streets that weave throughout the city, where you can find plenty of hidden little bars, cafes and interesting shops. And who better to go exploring with than a local? You can get a guided tour by a local, who can point out secret galleries and shops, as well as tell you a little bit about Melbourne’s history. You can even get a hidden bars tour that takes you to bars that you wouldn’t otherwise know were there! South Melbourne market – visit this adorable market to explore the delicious organic produce and modern treats, sold throughout the stalls that meander along the streets of South Melbourne. Not only can you find great food here, but there are plenty of clothing, gift and crafts stalls to explore too. What’s better than a Saturday morning spent at the markets!? National Gallery of Victoria – art lovers, this one’s for you!. With free entry to the gallery, it’s hard not give this attraction a priority on your Melbourne to-do list. The gallery hosts an international collection of more than 70,000 pieces from all over the world. Some of the collections you can expect to find here include Pacific Art, sculptures, photography as well as an amazing array of indigenous artwork. The NGV is also always hosting different exhibitions, so it’s worth checking out what they’ve got going on when you’re there. Royal Botanical Gardens – take a trip to Melbourne’s stunning Royal Botanical Gardens, where you can spend a splendid day strolling through nature. Located right in the centre of the city, the Gardens are spread over 95 acres. Anyone else getting flashes of New York Central Park? The gardens are home to a huge array of Australian plants and flowers and you can even find ecosystems here such as herb gardens and indigenous rainforests which are juxtaposed against vast lawns. Old Melbourne Gaol – take a visit to the eerie Old Gaol of Melbourne! Built in the 1800s to house Melbourne’s rapidly growing criminal population it’s one of the must-see attractions in the city. Learn about our history and see where some of Australia’s most notorious criminals were held, including Ned Kelly and Squizzy Taylor! Interested in going a step further and having a simulated gaol experience? This is the place to get a taste of your inner Bonnie and Clyde. For those of us interested in exploring creepy places at night, candlelit tours are also a thing! Aboriginal Heritage walk – if you’re looking to experience some original Australian culture, take a tour through the Melbourne Gardens with an Indigenous Australian guide. Here you can learn about the stories of the traditional owners of the gardens, as well as participate in a traditional smoking ceremony, be guided through the important areas of the Gardens, learn about the traditional foods, tools and medicine used. It’s a great activity for both children and adults alike and is incredibly educational. Melbourne Star Observation Wheel – take a journey that allows you to see the entire city all at once! A turn on the wheel is an experience that tells you all about Melbourne city’s culture and history. 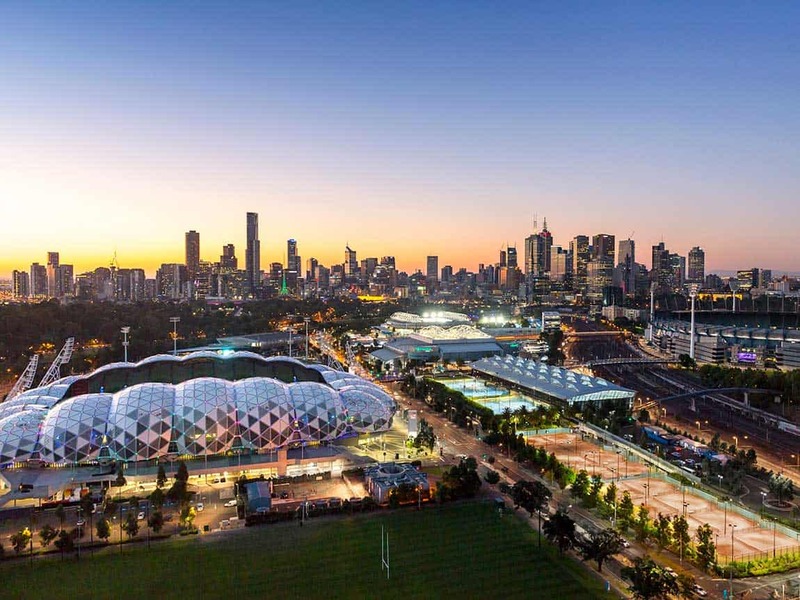 Who’s up for an entirely new perspective of Melbourne, all the while giving you an opportunity to orientate all the sites Melbourne has to offer? Melbourne Zoo – come and see over 320 different species of animals from all around the world. Conveniently located right in the heart of the city, here you can take a journey to Asia and Africa, strolling through the luscious rainforests and see orangutans, elephants, lions and more! Visit the Australian bushland and see the unique wildlife, including koalas, kangaroos, wombats and emus. Here you can also find out about the various conservation projects that Melbourne helps to support. Horse ride along Mornington Peninsula – for a unique Melbourne experience, take a horse ride along the Mornington Peninsula. Choose where you want to go on your ride (along the beach, through the bushlands or perhaps into the rainforests) and off you go for a fun day of riding. Attica – this multi-award-winning Melbourne restaurant made the world top 100 list in 2011. The ingredients used in the restaurant are unique and are often foraged by the chef himself. It is a 3 Michelin star restaurant. Tonka – visit Tonka for an Indian inspired menu. Hidden down one of those trendy laneways it’s the perfect place for drinks, shared plates or the full restaurant experience. Chin Chin – a laid-back Thai restaurant serving delicious shared plates for both lunch and dinner. Did we also mention that here you can also order wine by the carafe? A perfect restaurant to visit with a friend. Siglo – want a view with your dinner and drinks? Located next to Parliament house and Princess theatre, it’s a great place to wind down after a long day. We all love a meal while we enjoy some of Melbourne’s most iconic architecture. Flower Drum – a visit to this incredible a la carte Cantonese restaurant in Chinatown is a must. It’s not hard to see why it’s been one of the city’s favourite fine dining restaurants for over 40 years when you take a look at their incredible menu. "Yes i would recomend u to my family and friends"
Want an escape? Why not apply for cash loans Melbourne for an urban getaway? Overall rating: 4.6 out of 5 based on 232 reviews.